December 20, 2018 Deacon MikeLeave a Comment on December 20, 2018 – What Should We Do? December 20, 2018 – What Should We Do? November 19, 2018 Deacon MikeLeave a Comment on November 19, 2018 – How Strong Is Your Faith? November 19, 2018 – How Strong Is Your Faith? 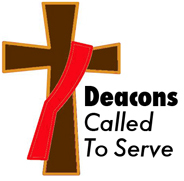 November 15, 2018 Deacon MikeLeave a Comment on November 14, 2018 – Thanksgiving (no, not the holiday)! November 14, 2018 – Thanksgiving (no, not the holiday)!